We specialize in Laptop repair & sales. In our 10 years of experience we have seen it all, there is no hardware problem our creative team of experts can not solve. Convenience is guaranteed, we pickup your laptop at a time suitable to you, repair and deliver it. Expect fast turn around time and reasonable prices. We pride ourselves as honest and reliable. 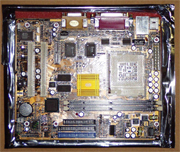 "My laptop does not power on and is not charging the battery or my laptop only power on intermittently"
Defective motherboard --- Depends on the problem, some components need to be replaced.capacitors, diodes , one or more IC chips, in some cases the whole board needs to be replaced. "The laptop powers on but I can not see anything on the monitor"
Bad motherboard --- Depends on the problem, some components need to be replaced. 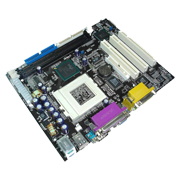 capacitors, diodes , one or more IC chips, in some cases the whole board needs to be replaced. "My computer powers on but keep restarting"
"My computer powers on but I can't get to my desktop"
"The laptop randomly shuts down, crashing, blue screen"
"The computer is running very slow"
"My monitor is very dim, I can barely see anything"
"I don't hear any sound on my laptop"
"I can't connect to the Internet"
"My computer was infected, I have a lot of pop ups"
"I spill coffee/water/orange juice/milk on my laptop"